This sh*t came out in the 60's? What the f***? By far the most ahead of it's time album I have ever heard. Edit: I keep coming back to this album. It is just such a flawless and beautiful project. I can't believe how many ideas it explores and perfects. It is a gorgeous blend of rock, folk, noise, and just all out weirdness. masterpiece album. the lyrics were a really emotional story over some of the best instrumental work of the 1960's. this really is what rock music is, and what it should be. the sounds are uncompromised, and a completely unique vision is portrayed. 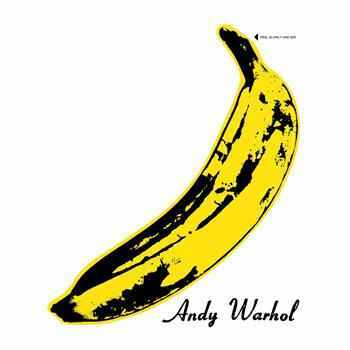 warhol, arguably the best artist of all time, gives the artwork for arguably the greatest album of all time. Purchasing The Velvet Underground & Nico from Amazon helps support Album of the Year. Or consider a donation?